How many of you find your hair in a greasy look even shortly after washed? This is actually a quite common problem in both men and women. The problem of getting oily hair and scalp raises similar concern with the problem of dry hair. Some people experience greasy hair more often than some others, which requires further treatment. Oil is one of the substances naturally secreted by human body. This substance is secreted through some glands which are structurally connected to the roots of the hair. This oil is important and beneficial for both the hair and the scalp. Sebaceous glands produce this sebum which functions to keep your hair and scalp from being over dried and keep it from wind and weather influences. Sebum also helps preventing bacteria build up in some cases. However, oil glands might produce excessive sebum which results in oily or greasy hair and scalp. 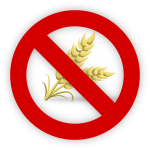 Various kinds of foods are believed to have the role of causing this excessive sebum production. Fatty and spicy foods are among the most common culprits. High level of sebum might increase the level of dihydrotestosterone (DHT) on the scalp, which is the main cause of hair loss. Therefore, treating excessive oils properly is needed for preventing further effects on the scalp and hair. 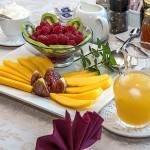 One of the products to be considered is Queen Helene cholesterol hot oil treatment. 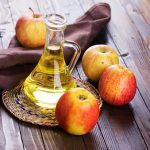 What is Queen Helene cholesterol hot oil treatment? Queen Helene cholesterol hot oil treatment is a beauty product made for damaged hair which is caused by excessive sebum production. Queen Helene cholesterol hot oil treatment is said to revive hair radiance and bounciness, and also protect it from further damage. This is a tubed cholesterol which can be applied directly to your hair and scalp. This product is suitable for all types of hair—straight, curly, and frizzy one. A lot of people trying out this product to their hair and scalp find it beneficial in treating their troubled hair. The cholesterol penetrated in this product is believed to give this ultimate effect. Many women with various kinds of hair types have a positive result after applying the product. These women found out that their hair turn sleek, shiny, smooth, and easy to style without being greasy and oily. 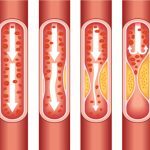 When first hearing the product’s name, many people might wonder how cholesterol actually works for your hair beauty. 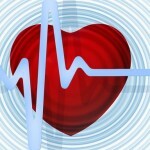 As known, cholesterol has long been related to heart diseases and problems. It can be hardly believed that it actually has an effect on reviving damaged hair beauty. In fact, cholesterol contained in Queen Helene cholesterol hot oil treatment is not the same cholesterol which you might find inside your arteries. Instead, this is a waxy compound which is found in sheep skin, called lanolin.Similar to human body, sheep’s skin also produces oil to moisture skin surface. Lanolin is a mixture of fatty acids and other organic compounds, which is safe to be used in our beauty products. Lanolin is classified as a wax, rather than oil or fat, so that it is different with your hair oil which makes it greasy. Queen Helene cholesterol hot oil treatment contains this substance—which is sometimes considered too thick and greasy for certain hair type. However, people with extremely curly hair might find it more beneficial than those with less curly hair. Similarly, people with straight hair might instead feel their hair is oily after application. Despite how much lanolin will affect your hair, it is in fact, a unique compound which can be easily removed by washing the hair. As a moisturizing agent, lanolin is very effective in penetrating into your scalp surface, giving an effect of smooth, hydrated scalp and hair. Lanolin is also beneficial since it has an ability to absorb moisture from the air. Many people which have applied this Queen Helene cholesterol oil treatment mostly found their hair smoother and easier to style. It is also able to decrease the level of scalp dryness which is beneficial for preventing dandruff build up and hence, is also beneficial for hair loss prevention. 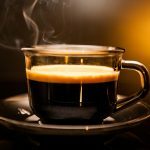 Can I drink coffee before a fasting blood test for cholesterol? 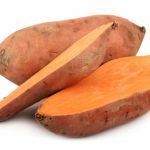 Is Sweet Potato Good for High Cholesterol? What is the relationship between cholesterol and heart disease? 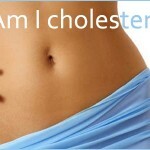 Can a Slim Person Have High Cholesterol? 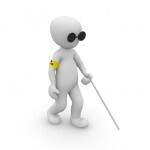 Can high cholesterol cause blindness?